Good morning and happy Monday! I have learned so much from the awesome online class that I have been taking. I literally want to stencil everything right now, lol! Anyway, I was inspired by a beautiful card that Debbie Hughes made yesterday (I am always inspired by her work) and decided to put it to work for today's CAS (clean and simple) challenge, which happens to be a color challenge. The colors were perfect for what I had in mind especially after seeing Debbie's card yesterday. I used a fun mask from Studio Calico and some pearlescent embossing paste. It is really pearly IRL. Next I sprayed some color shine by Heidi Swapp on my panel and then flicked some more on using a couple of colors. The heart is another Heidi Swapp product that is alterable. Once you spray it, there is a resist that appears, it is pretty cool! I added a few enamel dots and popped my panel up using LOTS of foam tape. I love how this came out! Anyway, I am getting ready to go to work, but hopefully I will be back with another card later on. 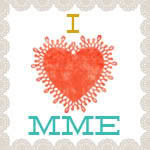 I was busy making lots of cards this weekend getting my samples ready for my upcoming card class. Such a beautiful card Dawn! 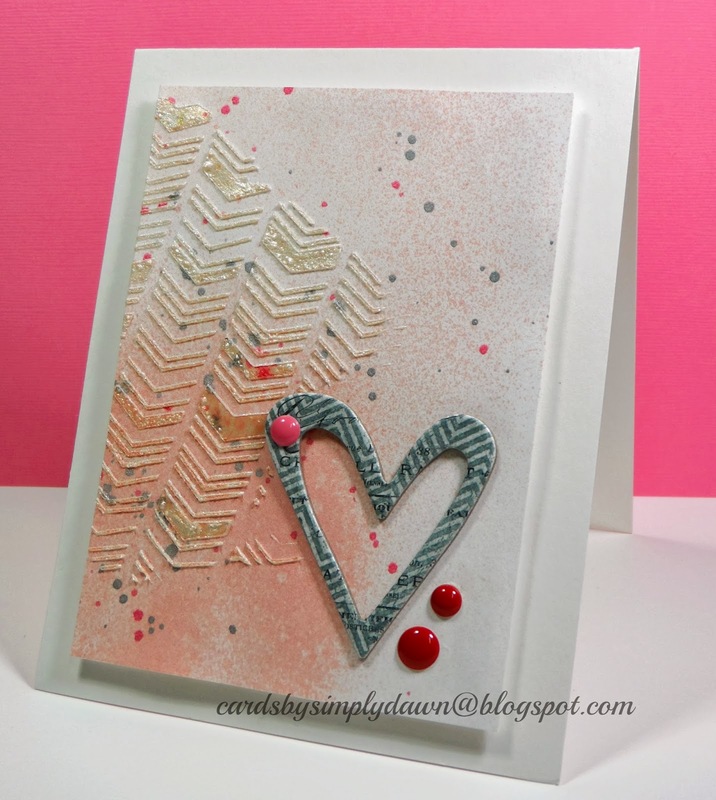 The colours are gorgeous and I love the pearl embossing paste, did you use a heat gun? The paste appears to have bubbles, I like this look. yes skrapella, I did use a heat too, I am too impatient to let it dry on it's own.